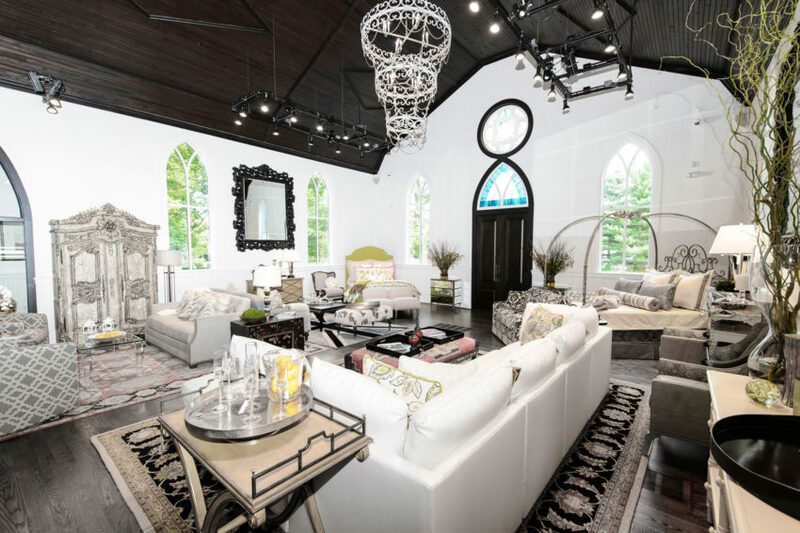 Stacia Smith, principal designer and founder of Homewood Interiors engaged an architectural firm specialized in historic building restorations to give a new life to this church from the late 1880s. Built in 1913 by the Northern Electric Company, the Nordelec remains a remarkable example of Montreal’s early 20th century architecture. Italian studio Building completed the Number 6 project in 2013. 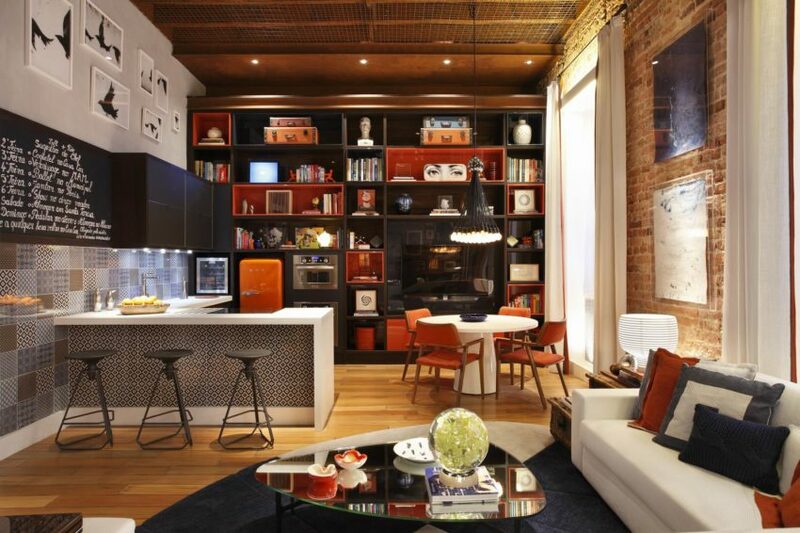 The architects transformed a 102,000 square foot Palazzo built in 1663 into a high end 36 unit building. Casa Cor is the biggest and most important event of national architecture and decoration in Rio de Janeiro, Brazil. 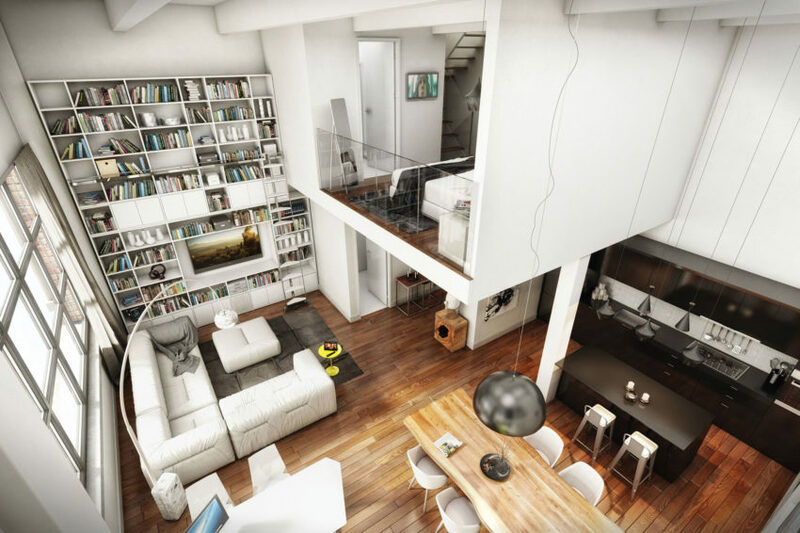 The 22nd edition took place in the beautiful former hotel and nurses’ university in Flamengo, for which Brazilian studio Luiz Fernando Grabowsky created this cozy loft-like interior. 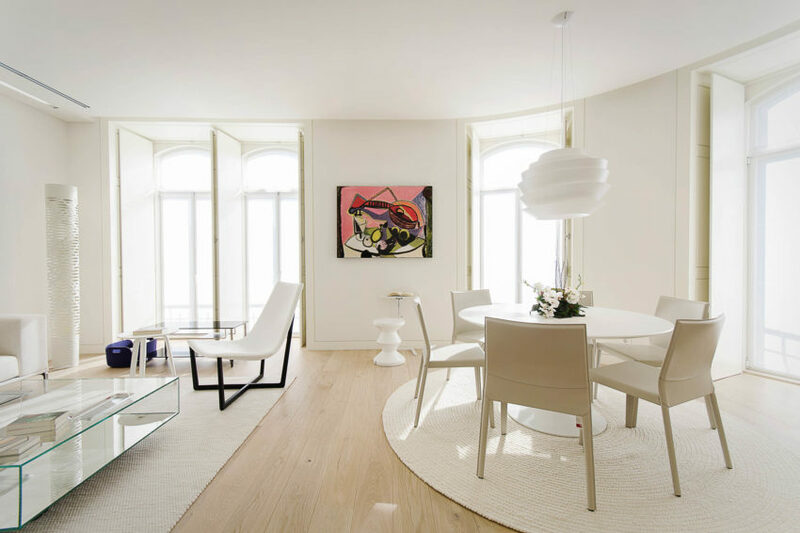 Michael Herrman, principal of French studio Ateliers Michael Herrman recently renovated a duplex apartment in a late 18th century building for him and his family. 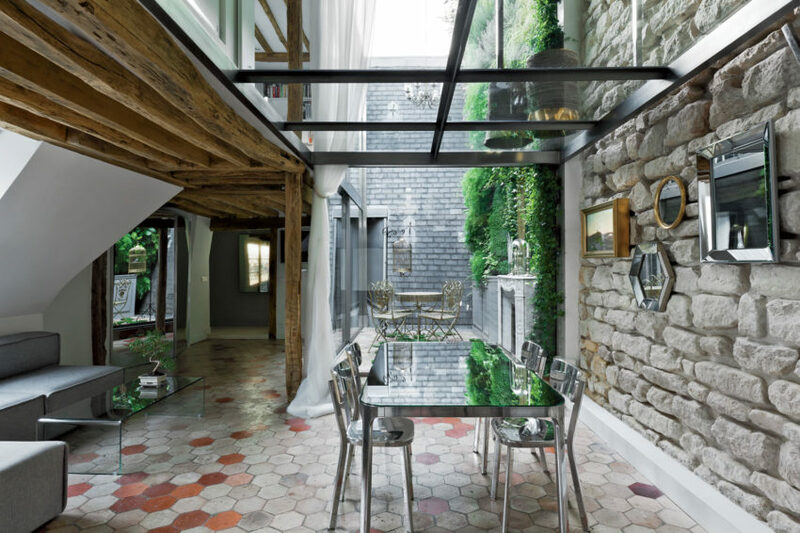 Located in the eighth-arrondissement of Paris, France, the now 1,500 square foot, three bedroom apartment features a clear glass floor above the dining area to bring daylight to both levels. 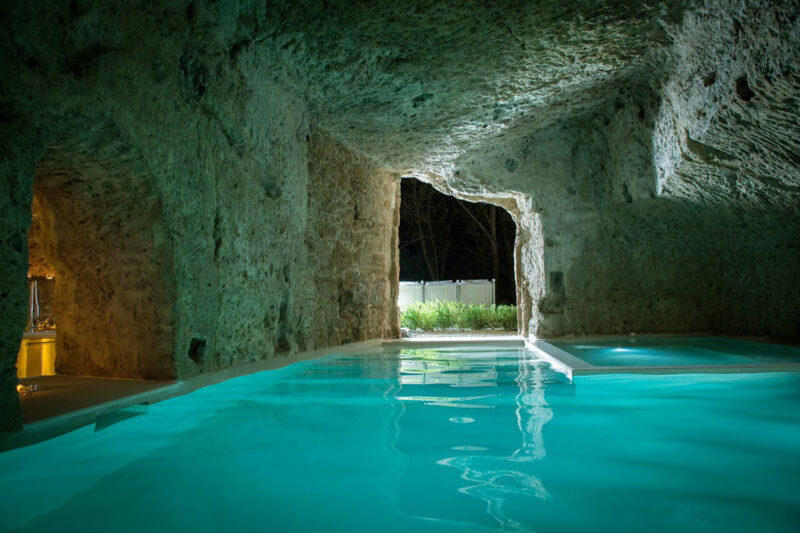 Monteverdi is a retreat located in Castiglioncello del Trinoro, Italy, and was designed by Ilaria Miani. 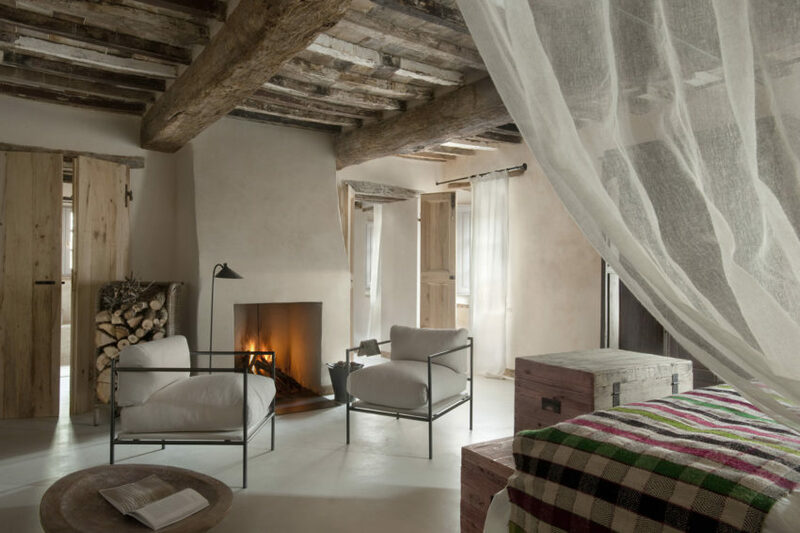 The structure is surrounded by the stunning Tuscan countryside, and its interior makes use of the rustic element of the exposed ceiling beams and stone walls to add character. 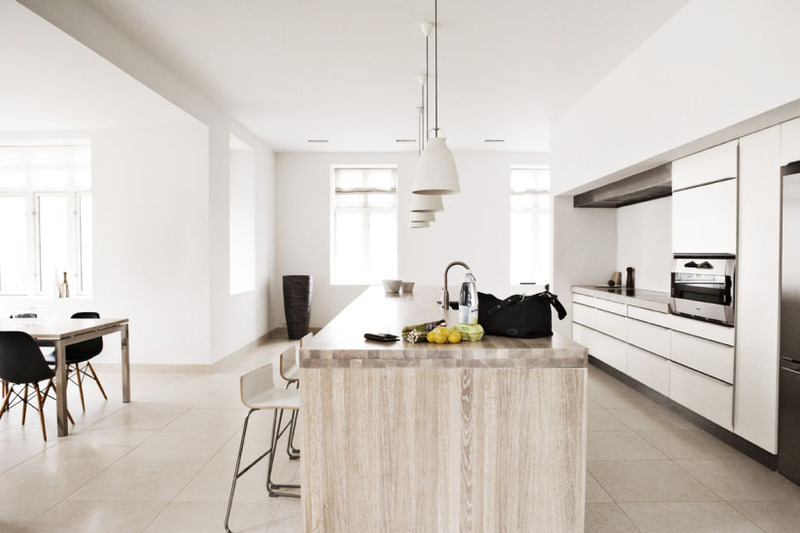 The Das Stue Hotel is located in Berlin, Germany. The hotel is hip and stylish, a bundle of textures and patterns resulting in a sophisticated and fun environment. 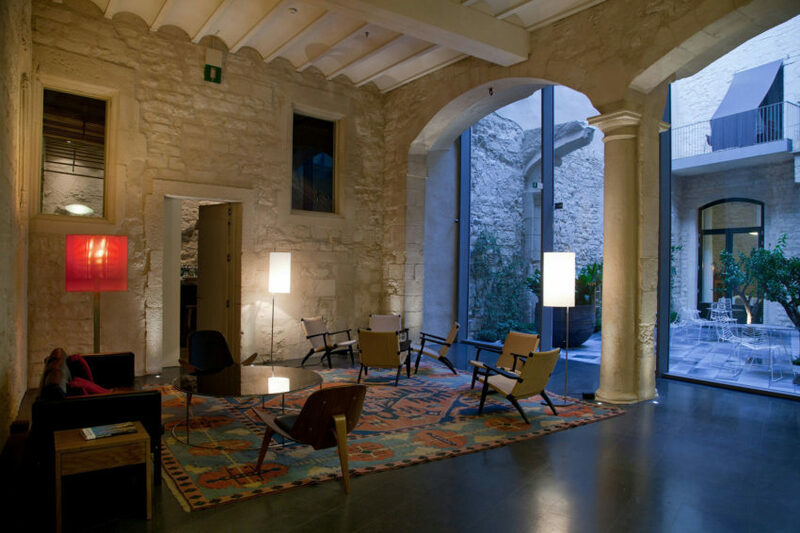 Spanish architect Rafael Moneo has designed the Mercer Hotel Barcelona. Completed in 2012, this exclusive contemporary hotel is part of a historical monument located in the Gothic Quarter of Barcelona, Spain. 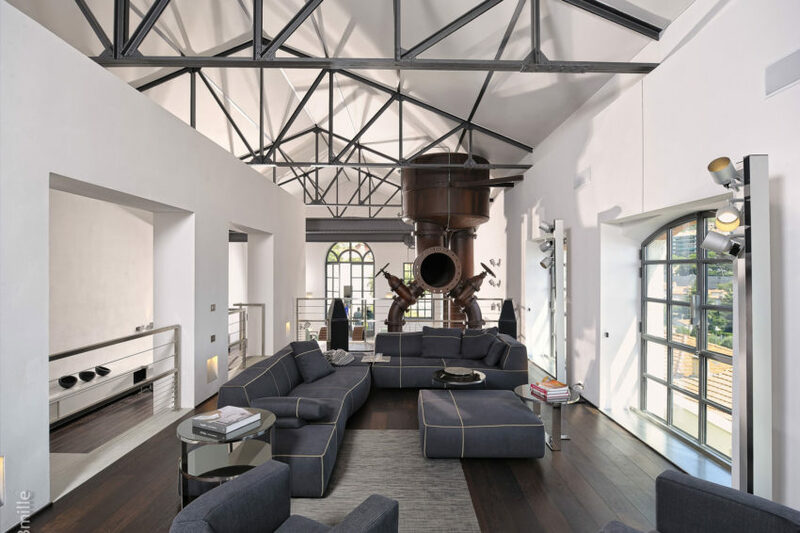 Former Belgian army pilot Philippe Tondeur, one of our readers, has sent us photos of his spectacular loft-like residence located in Villefranche sur Mer, a small coastal town on the French Riviera. 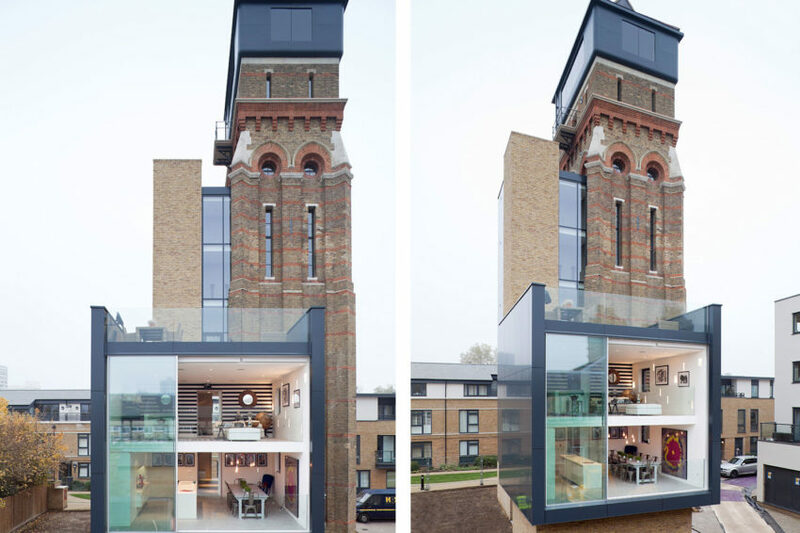 This 1910 water cleaning station was converted into an impressive 5,400 square foot 3 bedroom, 3 bathroom loft. Dutch studio Leijh, Kappelhof, Seckel, van den Dobbelsteen Architecten completed the God’s Loftstory project. This former brick vicarage located near Malmö in southern Sweden, was converted into a stunning 4,500 square foot modern home. 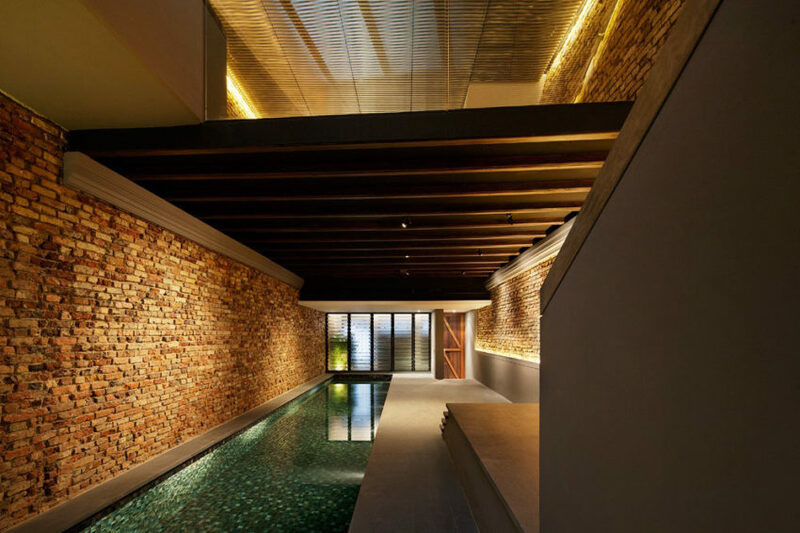 Built in 1904 and renovated in 2007, the residence boasts four bedrooms, three bathrooms, large living areas and a chic, contemporary, monochrome interior. 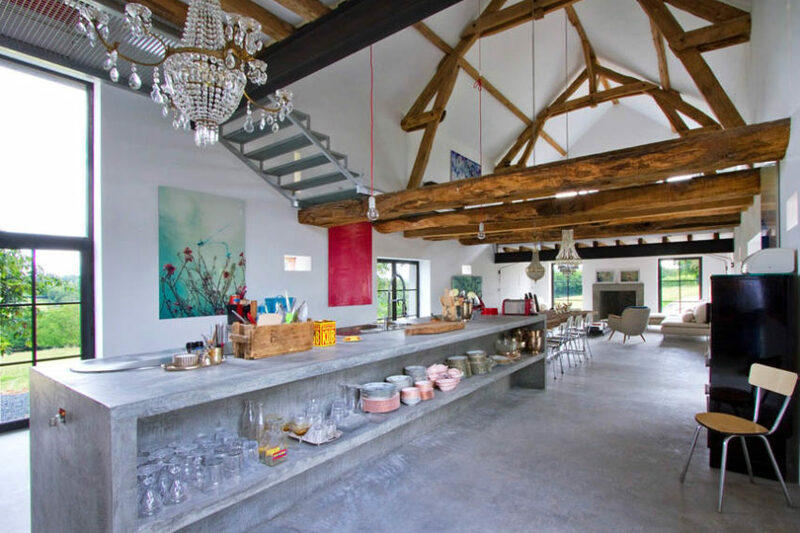 French interior designer Joséphine Gintzburger was commissioned to redesign the interior of this former barn located in the French region of Burgundy. 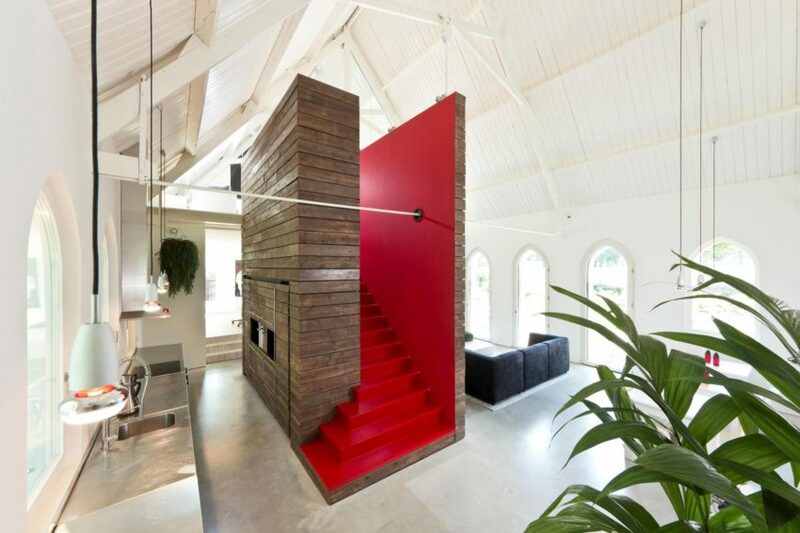 Utrecht-based studio Zecc Architects has completed the Santpoort Rail House project in collaboration with ZW6 Interior. 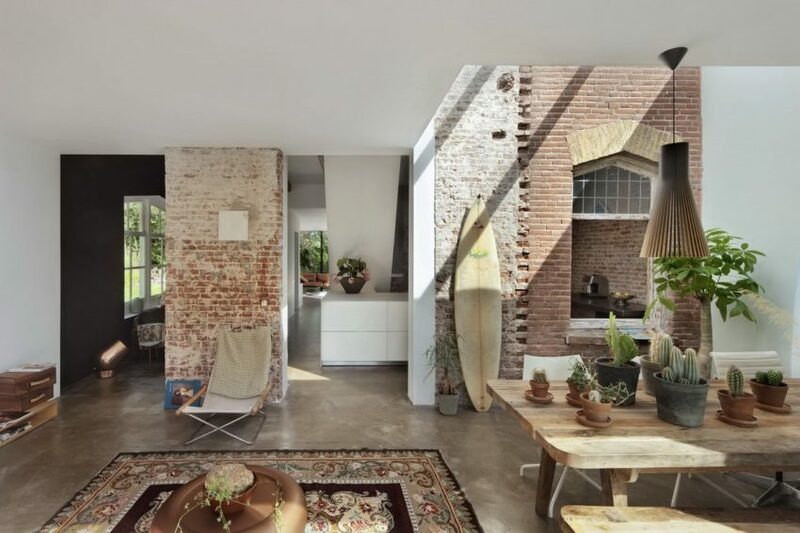 The architects have remodel and extended a historical railway cottage in Santpoort-Noord, a town in the Dutch province of North Holland, The Netherlands.